The ClickBank University 2.0 system is designed to give the subscriber that is new to the industry of Affiliate Marketing and of digital product creation and vending, much-needed knowledge on how to properly use the ClickBank Digital Marketing website in the most successful and effective way. It does have good basic training if you are just starting out in the industry and is mostly geared towards how to properly utilize the ClickBank Digital Product Marketing platform. They teach you how to either do this as a seller/creator of your own product or as an affiliate to promote other people’s product for commission of sales. However, there is more emphasis placed on training for those who are intending to use the system as vendor/creator of their own product. The eight weeks training for affiliates comparing to the twelve weeks training for creators can attest to that fact. If you are a more experienced affiliate marketer and are looking for more advanced insight into the industry, you might be somewhat disappointed. You are much better off using a platform that gives more detailed and enhanced emphasis to affiliate marketing side of things. Product Genre’ :- Digital Product Creation/Vending and Affiliate Marketing course. Who is it for? :- Vendors of their own product and newbie affiliate marketers. The information presented in the training are simplistic and easy to follow. They are talk videos of what expertise must be implemented and measures of guidelines to go by with an added option to download the readable training counterpart to the video. However, they are limited and very basic. The downloads are very short and weak on details. There is no ability to inter-react with the immediate training. You have to either ask your questions in a separate forum or wait until the end of the week to ask your question in the live webinar. Not like the Wealthy Affiliate platform videos where you can discuss issues concerning the subject of the videos right away. The platform at WA is more equipped with Q and A pretty much 24/7. There is always a whole community of ready and willing helpers. Week 1—-> Affiliate Marketing on ClickBank. Affiliate training at ClickBank University 2.0 only last for 8 weeks, yet they charge you $47/month for lifetime membership. So after your affiliate training is done, you have to consider being a vendor/creator. What if you don’t have your own product? Personally, I think you need more than that to even start being successful in Affiliate Marketing. Some training at C.B.U. are locked to keep you going by stages, you can not access all the training until after a certain time or you contact support by email. Comparing to the cost, training is limited and not really fair for the to affiliate marketing side of things, but for people with their own products. I would say it is ideal and more rewarding. There are tons of videos to watch with access to download the training on PDF file to read and keep F.Y.I. that beginners can benefit from. If you already have some experience however, you will find it somewhat disappointing. It will also be a little besetting since you will need the more advanced parts of the training, but they are locked until certain time. SUPPORT :- Not bad really, but lots of room for improvement. Their community support is fairly active and engaging but since it is only in a forum setting, not live and personal as with W.A. platform. I would say it leaves room for improvement. The email response from the system in terms of issues members may have been quite timely though, no problems there. There are lots of talking about things in the system, but not much of showing how they work. Even though I was in it for the eight weeks course, I was able to watch all the videos for one week in a day. So if I were advanced and already know the basics, I could finish the whole course in two to three weeks. I watched the videos and started the training on the affiliate side of the system and I do have access to the vendor side of things, even though I have no product to sell or any that I have created. For the newbie who is just starting out in the industry and wants to make some kind of income online, it’s better to first be an affiliate. Later on after you have gain some exposure to the industry, you can figure out how to create your own product. Whether digital or physical your ideal platform would be ClickBank University 2.0. The creators of this product knows what they are talking about because of their success with ClickBank market place and resources. This training system that they created does make the grade if you desire to learn from those who have been successful in the ClickBank Digital Marketing Industry firsthand. However, you still have the option of learning to affiliate marketing elsewhere and still promote ClickBank products. They do offer a 30-day money back guarantee if you decide that it’s not for you in terms of training as an affiliate. As a vendor/creator however, this is ideal for you. If you are an online course creator or have e-books to sell online, they have great training for that. ClickBank University 2.0 is definitely not a scam, because the coaches are real people who are the creators of the product and training they offer. They do help you to eventually make money with ClickBank. It is best for serving those with their own product and worth the cost comparing to starting a franchise. However, bear in mind that you have to come up with at least over a thousand dollars as a new vendor/creator of product in the industry. You will be spending like $47/month or ($560/year) plus for success you have to go for the ClickBank Builder up sell of $594. Their sales page says, “Your first ClickBank check is waiting for you to get it!” Giving newbies this kind of hype that will soon dissipate after they discover it is not as easy as it sounds, is not a good start right there. Less emphasis is placed on the affiliate side of the training, it is very limited and not really current. I guess being creators themselves, more emphasis is therefore placed on the vendor/creator side of the training. The webinars are usually geared towards introducing another paid advertising program, much like the last one I attended. They were offering for marketers to purchase an inbox e-mail marketing system with paid advertising on FaceBook. Suggesting if you desire to be in the big leagues of online marketers, it’s worth $1000’s but if you get it by the time of the webinar window you pay $596 or so. From the get go of opening your $47/month account you are slammed with the up sell $594 ClickBank Builder 2.0, most people just starting out and looking to make a little success online with very limited resources will definitely be turned off by that. What I liked and what I didn’t like. The weekend webinars are good, live and interactive regardless of their selling something else in the end. Although the questions were somewhat random, unstructured and spontaneous, usually more lenient towards marketing, the entire webinar was fairly informative. I liked that it is worth the price if you are looking to create and market your own product, or you already have a product that you want to market using the ClickBank Market Place. I liked that ClickBank Market Place in general and the ClickBank University 2.0 system is not inclined on marketing by doing reviews on products to analyze whether they are scams. Their claim is that anyone who created their own product, would not like it to be associated in any way as to whether it is a scam. Especially if they put genuine work into it, that guarantees results when action is taken. ClickBank Market Place has already pre-screened their creators/vendors submitted products and programs, so reviewing them is not necessary. They and ClickBank University 2.0 work together and agree on this fact, so I liked and understood that. Not every product have to be reviewed so that people can buy it, sometimes people’s mind is already made up and they are going to try the product regardless. You know what I mean? I did not like the up sell introduction to the C.B.U. Builder, because it is a turn off to new affiliate marketers. It might be a good tool, useful for creating a landing one-page website for inbox/email marketing, but the cost at around $594, even with the two payments of $297 is still too much. I did not like that the training mostly enforces users to purchase ClickBank Builder 2.0 to get a better beginner experience and is geared mostly towards vendor/creator of product. Eventhough the program is designed to make the ClickBank Market Place account holder better able to understand and use their online marketing system properly. If you are not a ClickBank account holder, it is more difficult for you to follow along with the training. They do not provide the extra tool kits you may need for success but they will recommend where you can purchase them, tools such as e-mail service provider, domain purchasing and social media access tools. Their webinars talk mostly about paid traffic on FaceBook, another spending issue right there. They don’t cover free traffic like S.E.O. (Search Engine Optimization), content marketing and free social media marketing. FOR THIS TRAINING WEALTHY AFFILIATE IS WAY BETTER AND CHEAPER. SEE MY W.A. ANALYSIS HERE. 6. They could do with some improvement on their social media traffic training capacity. It is very limited and speaks mostly about paid traffic and not free traffic. Locking the lessons until a certain time, or you have to email them to open it is not cool either. Let the people get what they are paying for please! (I would say). The training is good, but somewhat basic and mostly geared towards marketers with their own products. An active community but lacking a more personal touch and seem prerecorded, not live. Prices will eventually hike up due to up sell and other tools necessary to purchase for success. Not really suitable for someone with limited resources looking to make money in to affiliate marketing. Their up sell of the ClickBank Builder locks you in to host at ClickBank so you are stuck within their system. A better place to learn how to sell other people’s product, when you don’t have your own, can be observed here :- (How to sell products without inventory). Weighing in the balance and found wanting. Yes, ClickBank University 2.0 does make the grade, but conditions applied. It has been weighed in the balance and found wanting. My overall ratings for ClickBank University 2.0 is 7 out of 10, because for vendors/creators of their own products, it’s the better place to be. However, for the brand new affiliate marketers I give it 5 out of 10. Wealthy Affiliate is a better platform for newbies and experienced affiliate marketers alike. I will be sure to reply promptly. Hi David, thanks for sharing your ClickBank University 2.0 review. I’ve been seeing banner ads for this platform for a while now, so wanted to check some reviews before I consider it. I wanted to get into affiliate marketing, and I thought CBU could be a good option, but it seems their course is more geared towards vendors rather than affiliates…especially as a beginner. Wealthy Affiliate looks like a good alternative for a beginner like me, and I noticed on your comparison table that they offer a free trial which is great. At least I can try out the program first, I like that! I’m glad I came across your review, it was very helpful. Thanks for stopping by Steph.! I’m glad I was able to help you make an informed decision that would be cut, fit and tailor made for your situation. As a young affiliate marketer myself I can identify with what people are looking for out there, especially those who like myself, have limited resources to begin with. We want to seek for the best system that can accommodate our caliber and still bring results as we put our efforts into action. That’s one of the reasons why Wealthy Affiliate is so ideal for us. Well, all the best in your endeavors! 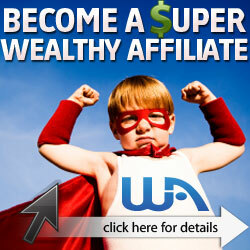 Wealthy Affiliate definitely is the better choice for affiliates. C.B.U.2.0 does have great training for vendor/creator and how to use the ClickBank market place but as a young Affiliate Marketer, there are much better platforms that can cater for me and others alike. Wealthy Affiliate presents a more actively helpful community and training resources online that makes you comfortably declare that you are an Affiliate Marketer even while still training because you know their system works. Thanks for stopping by and giving your input. I’m also glad I could help you make an educated decision going forward. Cheers! All the best in your endeavors! I was curious about Clickbank University and whether or not it was worth my money and time. I agree with you though, that hefty upsell of $594 is enough to break the bank. I like the fact that Wealthy Affiliate offers you your first month of premium membership at a discounted rate so you can try it out and see if it’s a right fit for you before you go all in. For new affiliate marketers like myself, this is a much better option while I am still trying to build my wealth. Thanks for such a great review. Well I’m glad I was able to help you make an educated decision going forward Josephine. Yes I agree that WA.is the better platform for young affiliate marketers like you and I. We can always keep our options open though, where becoming vendor/creator of our own products are concerned because C.B.U.2.0 seemed a better fit for that type of training. Even though they mostly gear towards training on how to market your products only on the ClickBank market place. Thanks for stopping by and it is indeed my pleasure to serve. Be encouraged and all the best in your business endeavors!